On September 18 the students of Starobilsk Humanitarian and Pedagogical College took part in the volunteer campaign “Honor the Memory of your Forefathers”. The campaign was initiated by Luhansk Regional Local History Museum represented by its director O.V. Milovanova and the college teacher of socio-political disciplines O.I. Bublyk who is the head of section “Historical Local Study” of Minor Academy of Sciences of LNU. 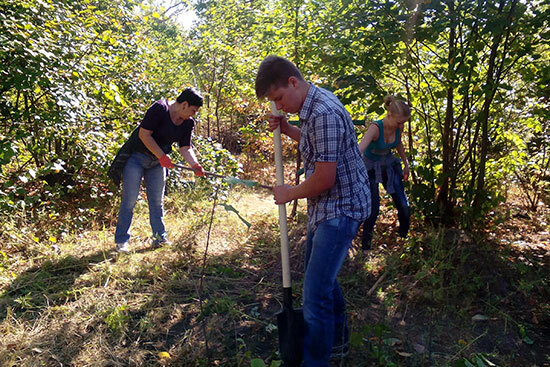 Young volunteers cleaned a significant part of the old cemetery in the city of Starobilsk: cut down bushes, gathered and took out the garbage and dead leaves. 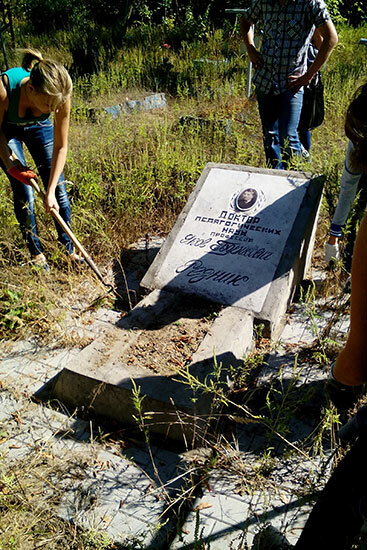 The first-year students were interested in the information that Doctor of Pedagogical Sciences, Professor Yakov Borysovych Reznik had been buried there. He worked at Starobilsk Teachers’ Institute as a teacher of Pedagogy Department in 1949 – 1952. 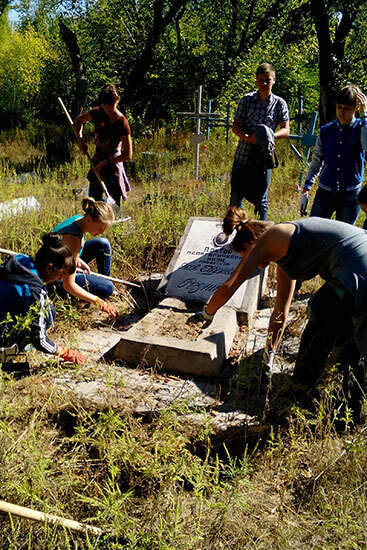 The students-volunteers take care of the grave of Yakov Borysovych and find this very important because they feel a connection between generations and have a desire to study the history of their region. The students returned to the college tired but satisfied with what they had done. They call upon the students, pupils and all not indifferent citizens to join cleaning the abandoned territories. They say it will help to improve not only the city but our thoughts and feelings.